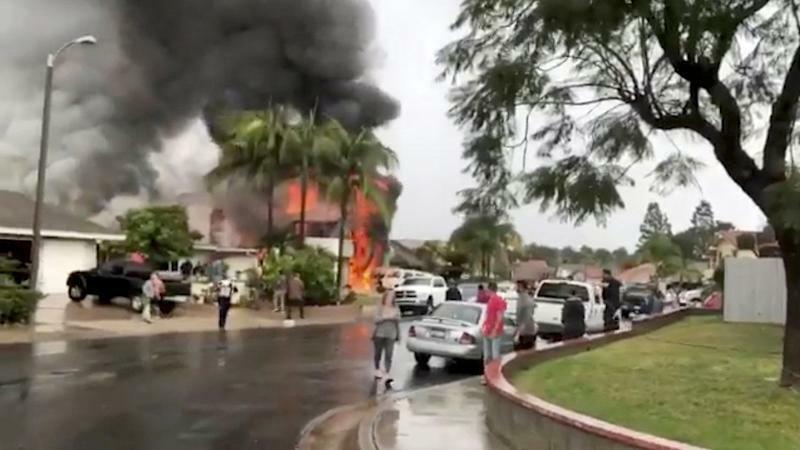 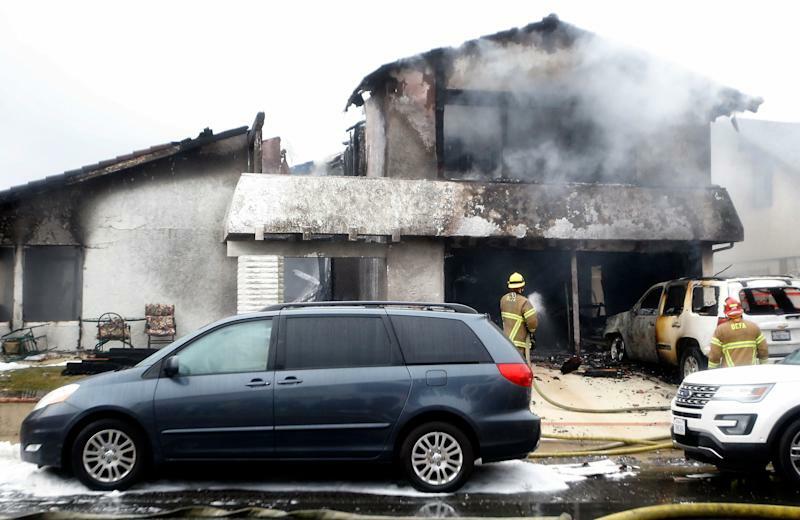 A small plane crashed into a suburban Southern California house on Sunday, killing five people and injuring two others, authorities said. 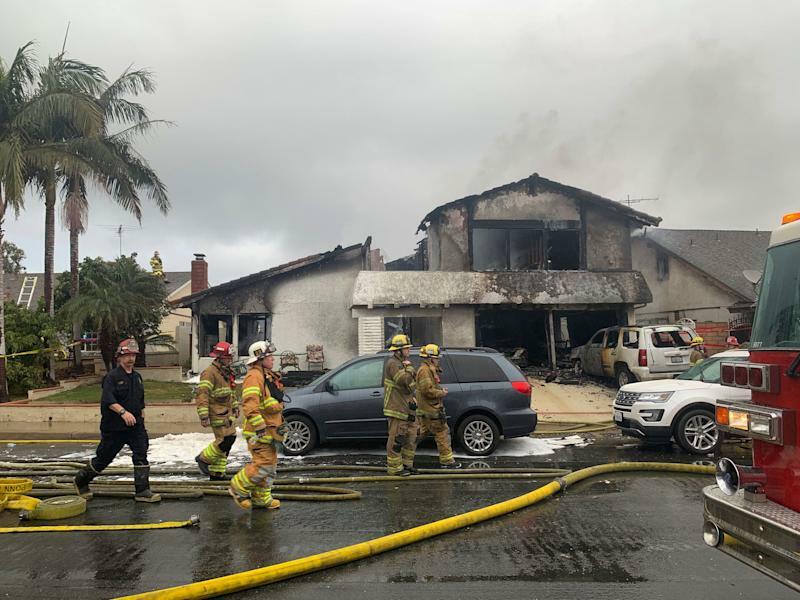 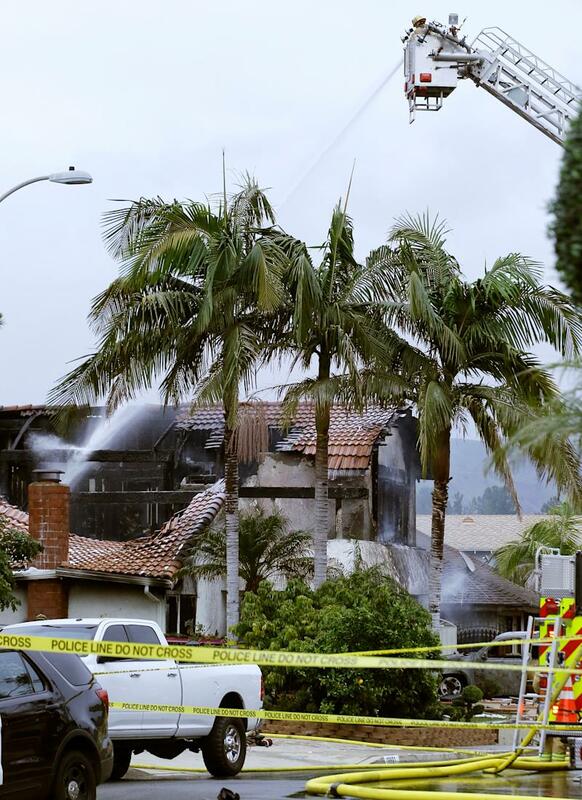 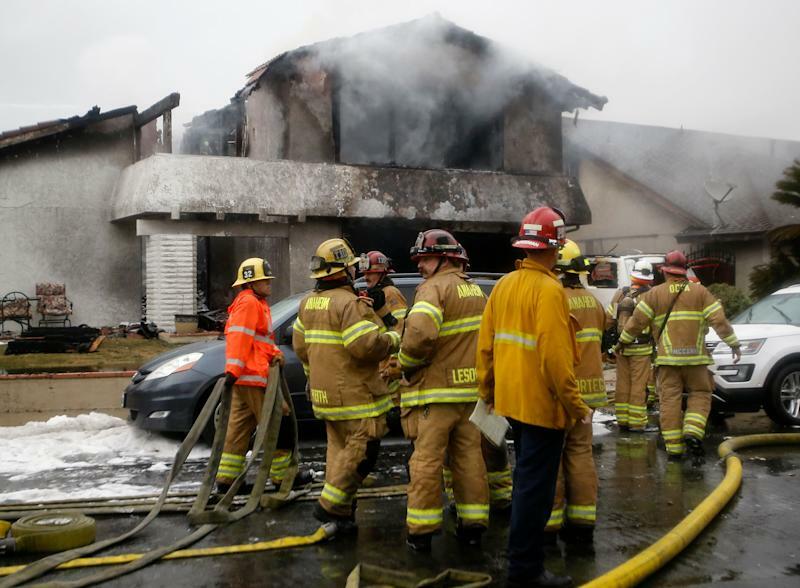 The pilot and four occupants of the home in Yorba Linda, about 35 miles southeast of Los Angeles, were killed, Orange County Sheriff’s Lt. Cory Martino said. 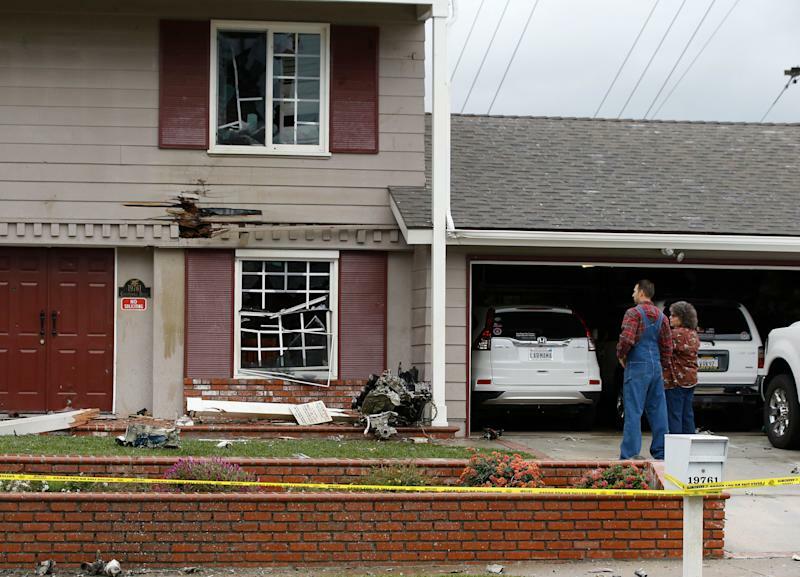 Two other people were taken to the hospital with moderate injuries, he said. 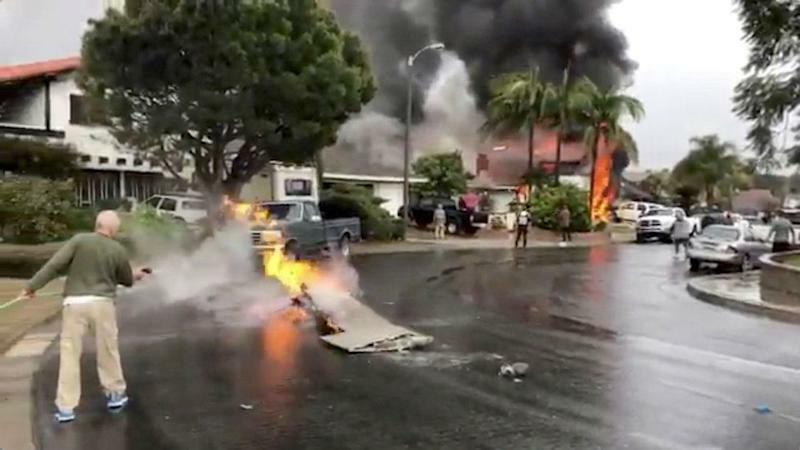 The Federal Aviation Administration said the twin-engine Cessna 414A crashed in Yorba Linda shortly after taking off from the Fullerton Municipal Airport. 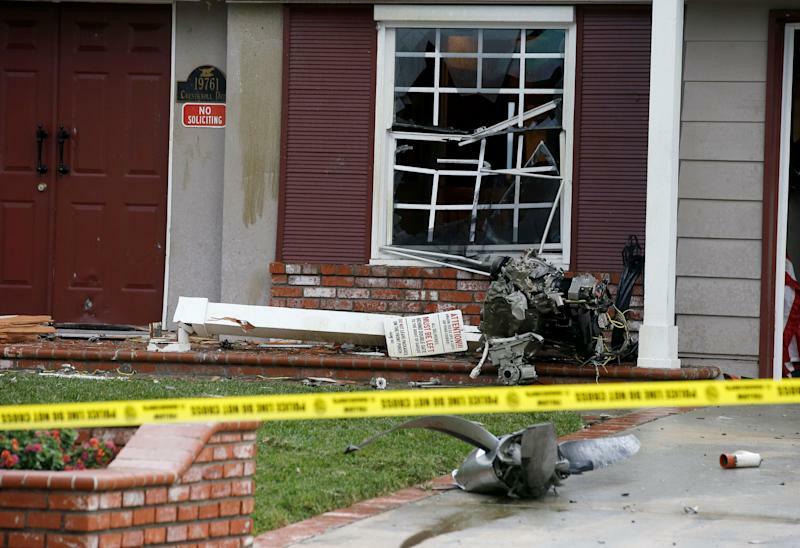 An FAA spokesman said only a pilot was aboard the plane. 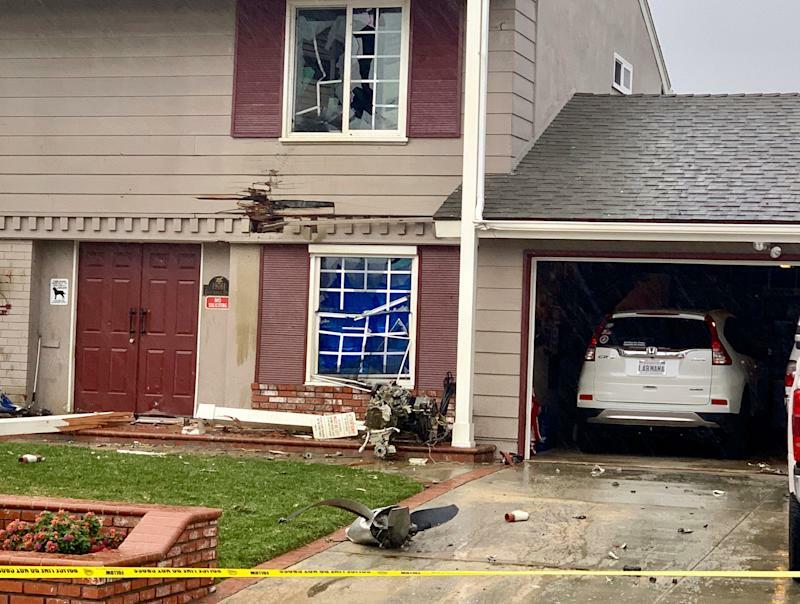 Firefighters received a call about the crash at about 2 p.m. and found plane debris to the rear of the residence, Assistant Chief Pokey Sanchez said at an afternoon press conference. 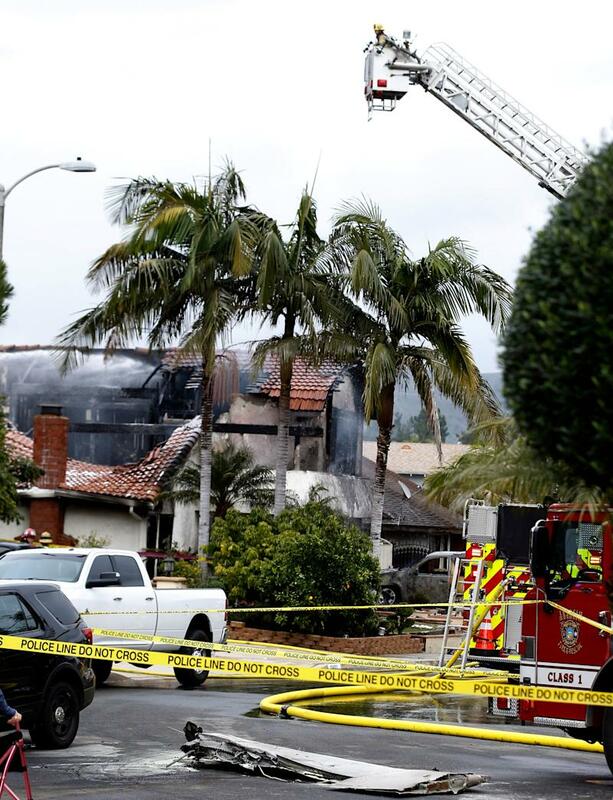 About 75 personnel were at the active scene two hours later, Sanchez said, and the search in the compromised home was set to continue through the evening and into Monday morning. 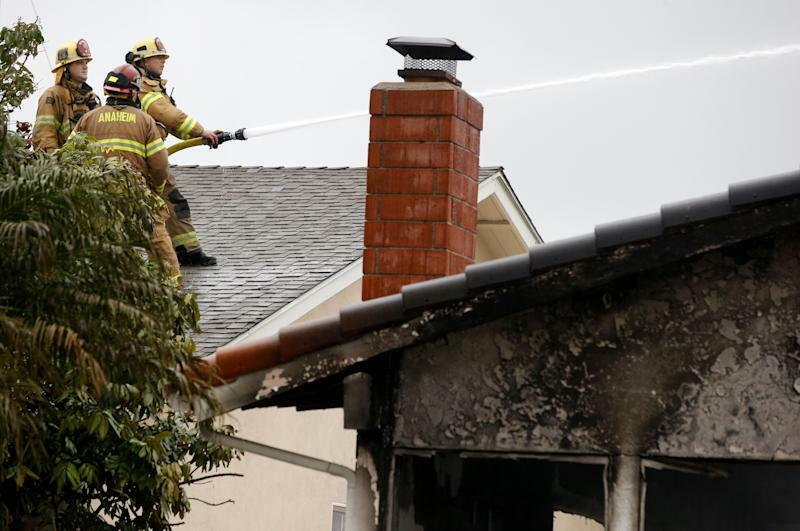 One firefighter also sustained injuries and was hospitalized, Sanchez said. 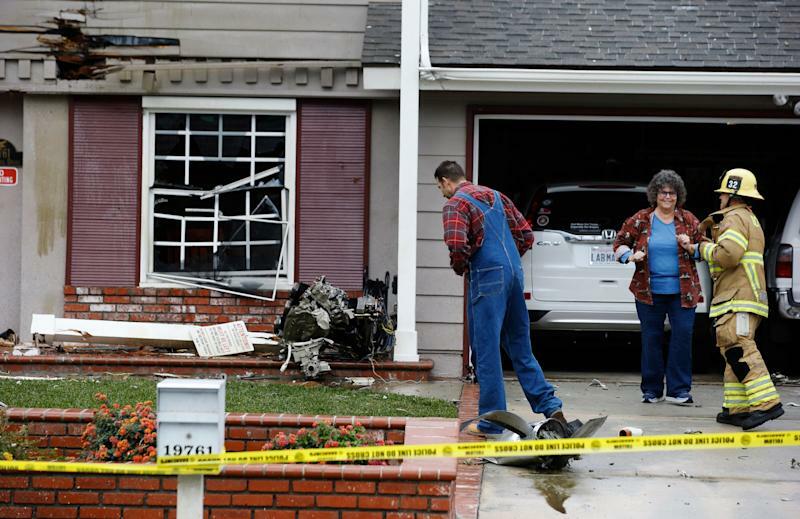 The National Transportation Safety Board and FAA will investigate the incident, an FAA spokesman said.